Due to inclement weather, the orchestra concert has been moved to Thursday of this week (Dec. 11th.) The band concert is still scheduled for Wednesday, December 17th. Please come out in support of the many Hunt musicians who have been preparing several weeks for these special performances. All concerts begin at 7 pm. At the Band Concert there will be a Bake sale to benefit the Hunt Production of Hairspray! 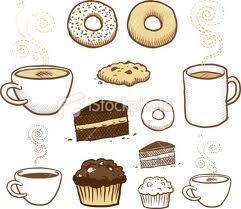 The Hunt Drama Committee will be selling baked goods and other edible novelties at the December 17th concert. This is a great opportunity for us to make a chunk of money that we can use to help pay for the Spring play. It costs us over $6000 to put on a production and small fundraisers like this are a big help in getting us over the top! Please consider signing up to donate a baked good, bottles of water, fruit or small bags of chips. Can you help? Bring your donation to the table between 6:30 and 7 on December 17. Feel free to RSVP your item to huntmiddleschool@gmail.com. The PTO Meeting this week has been CANCELED. Be sure to come welcome our new PTO President, Paula Henry at the next meeting in January, 2015. Find out how you can take an active role at Hunt - Despite what your child tells you, he/she really does like you to be involved! GREETINGS FROM INTERIM SUPERINTENDENT HOWARD SMITH! Apparently I did not get the memo about heading south for the winter, so I went north instead. I have to confess that I wake up some mornings feeling a little bit like a very bewildered and confused migratory bird. But although the temperature is cold, the reception from the community, School Board, and School District Staff has been very warm. For my part, I am already enamored when it comes to the School District. In meeting after meeting, I have encountered bright, talented, and dedicated Board and Staff Members who are enthusiastically engaged in doing some really great work with our students. I am looking forward to learning more about all of the good things that are going on so I can focus on how to support them. Clearly, there are also some challenging issues to deal with, primarily revolving around ensuring financial stability and equitable handling of situations related to our increasingly diverse student population. I am already working with our Board Committee structure to refine our goals for the remainder of the year so that they are aligned with priority concerns in these areas. Finally, I just want to say a few words about the distinction between an “interim” superintendent’s role and a regular superintendent’s role. Particularly under the circumstances that triggered the need for an interim superintendent, my primary responsibility is to address the kinds of issues that need to be resolved in order to build a solid foundation that will provide the new superintendent with the support necessary to begin moving the District forward in a purposeful manner on July 1. In order to do that, I will have to be disciplined in maintaining a focus of time and energy that is aligned with priority foundational issues. At times, maintaining that focus will be at the expense of being as available and accessible as a superintendent ordinarily should be for certain kinds of events, functions, and activities. That said, what I used to consider my vacation home will now be my permanent home for the next seven months. So I will be out and about and I look forward to meeting and learning from as many community members as possible. The Board and Administrators are hard at work developing a budget for the 2015-16 fiscal year. Once again, the District faces the challenge of producing a school budget that supports our community's educational standards and values, while also acknowledging our financial capacity. In order to meet this challenge, the voices of community members need to be heard. Therefore, the School Board is hosting two budget work sessions designed to provide community members an opportunity to talk with each other about the standards and values that they believe should be reflected in the school budget. Each participant will be asked to complete a brief worksheet that will be collected at the end of the session. The product of these work sessions will help guide the budget development process. Light refreshments will be served and childcare and translation services will be provided. Please RSVP by emailing superintendent@bsdvt.org or calling (802) 865-5332, and indicate if you will need childcare and/or translation services. Please join us to discuss the future of Fletcher Free's services and programming. We have engaged the services of Maureen Sullivan, a national Library consultant, to lead a community planning process guiding strategic directions for the next five years and beyond. 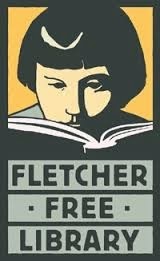 Through a series of forums we will develop a strategy focusing on Fletcher Free's strengths and stakeholders’ shared values and vision for our Public Library. Please join us at an 'Open Community Forum' on December 11th from 5:30-7:00pm at the Library. For more information please contact Barbara Shatara at bshatara@burlingtonvt.gov or on 865-7211. Current neuroscience research indicates that mindfulness can help to reduce stress, regulate emotions, increase focused attention and result in greater kindness. All are assets for learning, living and for general well being. One definition of mindfulness is “paying attention in a particular way; on purpose, in the present moment, and without judgment.” Much of our stress, pain, and suffering come from being pulled away from the present moment, with regrets about the past, worries about the future, and judgments about the present.” (JKZ) Another definition might be that it’s the opposite of “mindlessness”. This presentation will provide a simplified explanation of mindfulness, reported neuroscience research findings and an exploration of mindful applications. Marilyn Webb Neagley, Education Consultant and Author. Marilyn Webb Neagley is the director of Talk About Wellness, a Vermont based initiative that works primarily in public schools to deepen and support the inner lives of children. In the early 1980’s Marilyn was introduced to meditation by Dr. Joan Borysenko and later, Dr. Herbert Benson. Since then she has attended courses, professional workshops and retreats that focus on mindfulness and social/emotional learning. She now leads mindfulness-based courses, workshops and seminars, under the umbrella of social and emotional learning. Marilyn, with Aostre N. Johnson, is the co-editor of Educating from the Heart (2011), a compilation of essays by educators. She is a co-coordinator of the South Burlington School District’s new training manual, Mindfulness in Public Schools (2013). She is also author of a children’s book, Loosie B. Goosie (2013) and of Walking through the Seasons (2008), a book of observations and reflections on nature that won an IPPY gold medal for U.S. North-East Best Regional Non-Fiction. Previously, Marilyn was president of Shelburne Farms during its formative years as a non-profit organization. Haven't donated yet? Checks made out to the Hunt PTO can be sent into the office in an envelope marked for the PTO. Thanks for your generosity! 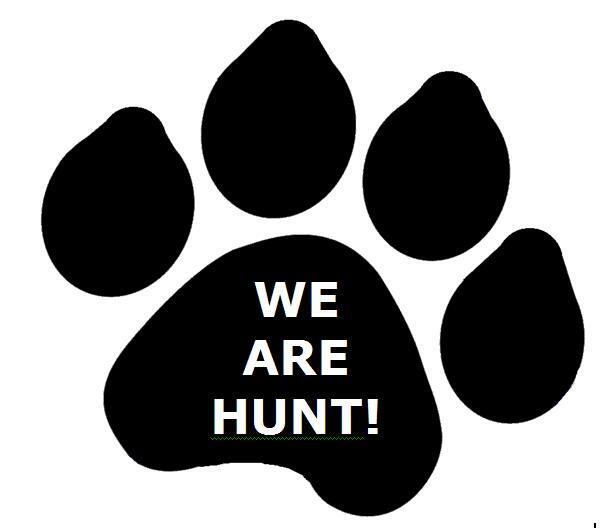 Want to follow Hunt Middle School on Facebook or Twitter?